On this page, we will share everything that the Eco-Warriors have been working towards. Last academic year, we gained our Bronze Eco-Schools Award so we are now looking at gaining our Silver Award. 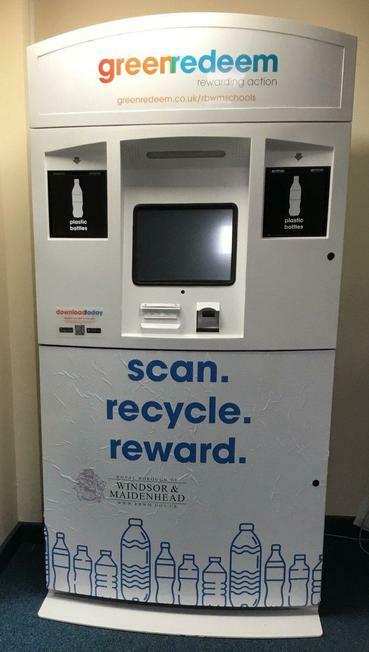 We have recently received our new Reverse Vending Machine from Green Redeem! This machine earns Riverside School 5p per plastic bottle which we can spend on making our school even better! We have begun to prepare our Vegetable Patch outside the year 6 block. So far, we have dug the ground up and shortly we will be laying down the manure to prepare the ground. We are very excited to plant, grow and eat our own food! The competition will be judged before the Easter Holidays - which class will win? Sidra and Georgia in Olive Class took this even further and created their own amazing recycling bins at home - wow!